Hope everyone had a wonderful second week! Rewrite the first two chapters of my thriller in 3rd and in 1st to see which one works best DONE! 3rd it is but man that’s going to be HARD! Finish reading the book for book club on Friday ALMOST DONE! –> I was at 85% by the time book club came around. 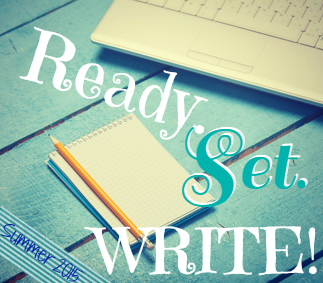 Share the blurb on A SUMMER LIKE NO OTHER on my Facebook group. Dedicate at least an hour a day to business-related tasks. Run 3 times this week. Fleshing out scenes I had been trying to avoid and had summarized. Digging deeper. Wow, you’re on fire! You got so much done, and are planning so much more. I love your energy! And when it comes time for the cover reveal, I’d love to help share it on my blog too. Good luck with your goals this week! You can do it! PS – love the minions!!! Wow, I am so impressed with your progress on your goals! You are on fire. Good luck this week! Switching to third person… Yep. I’m doing that too. It’s tough, but it sounds so much better in my WiP, and I’m sure you’re finding the same thing. It’s nice to stretch our abilities, isn’t it? Good luck with your goals this week, Elodie! I can’t imagine how hard it would be to switch the POV of a book. I’ve used exclusively third-person for over 20 years, since that’s the classic default, and it comes most naturally. Good luck with all your goals for this week. Good luck with your goals this week! You’ll knock them out of the park! And you KNOW I love that line you shared. You…will get mail from me this week, too. So…I’m just going to add my goals list to yours because your killing yours and I’m not. K? Great job this week! LOVED the line you picked. I’ve never tried a book in 3rd before- I could see how that would be scary to try! I’m definitely curious on the business plan if you end up posting that 🙂 Also, great idea to write opening in different POVs to see what sticks. I used to write only first person past but I had a story that just did not sound right unless it was in present tense. You have the best gifs. 🙂 Way to rock those goals! Wow! And congrats on finishing the 5k without stopping. That is so cool and such a great feeling. I love the excerpt and can’t wait to see the cover reveal! Have a great week! Congrats on completing your goals this week. I love your sentence from your WIP. It’s a great line. I always think about business plans, but never know how to go about them effectively. Good luck this week! Great progress, Elodie. Fleshing out scenes is one of my favorite parts of writing (the hard part is getting that initial scene written in the first place). So… just a little envy here. 😀 Have a great week and keep up the great progress. Oh my gosh you are rocking your goals!! Woo hoo!! Congrats on all that you accomplished this week! And especially on the 5k! That’s a huge goal. =) Hope this week goes well for you! Wow! You are our hero! You KILLED your goals this week and we’re totally going to try to get some of your mojo during this week to conquer our own goals. Good luck doing the same with these goals. I can barely run a block, let alone a 5k, so huge congrats on that! And also on all the writing stuff you got done. (I would be dead after the running, so I wouldn’t have got that far.) Good luck with everything you want to get done this week!